Since the end of the Great Recession in 2009 the central banks of the advanced countries have taken unprecedented actions to reflate and stimulate their economies. There have been significant differences in the timing and pace of these actions. 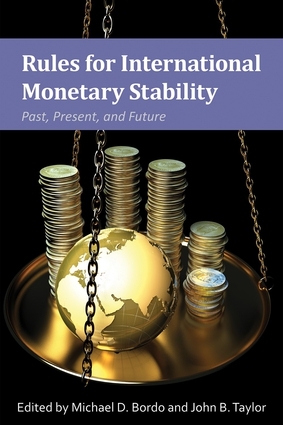 These independent monetary policy actions have had significant spillover effects on the economies and monetary policy strategies of other advanced countries. In addition the monetary policy actions and interventions of the advanced countries have had a significant impact on the emerging market economies leading to the charge of 'currency wars.' The perceived negative consequences of spillovers from the actions of national central banks has led to calls for international monetary policy coordination. The arguments for coordination based on game theory are the same today as back in the 1980s, which led to accords which required that participant countries follow policies to improve global welfare at the expense of domestic fundamentals. This led to disastrous consequences. An alternative approach to the international spillovers of national monetary policy actions is to view them as deviations from rules based monetary policy. In this view a return to rules based monetary policy and a rolling back of the " global great deviation" by each country's central bank would lead to a beneficial policy outcome without the need for explicit policy coordination. In this book we report the results from a recent conference which brought together academics, market participants, and policy makers to focus on these issues. The consensus of much of the conference was on the need for a classic rules based reform of the international monetary system. Michael D. Bordo is a Board of Governors Professor of Economics and director of the Center for Monetary and Financial History at Rutgers University, New Brunswick, New Jersey. He has held academic positions at the University of South Carolina and Carleton University in Ottawa, Canada. Bordo has been a visiting professor at the University of California at Los Angeles, Carnegie Mellon University, Princeton University, Harvard University, and Cambridge University, where he was the Pitt Professor of American History and Institutions. He is currently a distinguished visiting fellow at the Hoover Institution, Stanford University. He has been a visiting scholar at the International Monetary Fund; the Federal Reserve Banks of St. Louis, Cleveland, and Dallas; the Federal Reserve Board of Governors; the Bank of Canada; the Bank of England; and the Bank for International Settlement. He is a research associate of the National Bureau of Economic Research, Cambridge, Massachusetts, and a member of the Shadow Open Market Committee. He is also a member of the Federal Reserve Centennial Advisory Committee. He has a BA degree from McGill University, an MSc in economics from the London School of Economics, and PhD from the University of Chicago in 1972. John B. Taylor is the Bowen H. and Janice Arthur McCoy Senior Fellow at the Hoover Institution and the Mary and Robert Raymond Professor of Economics at Stanford University.